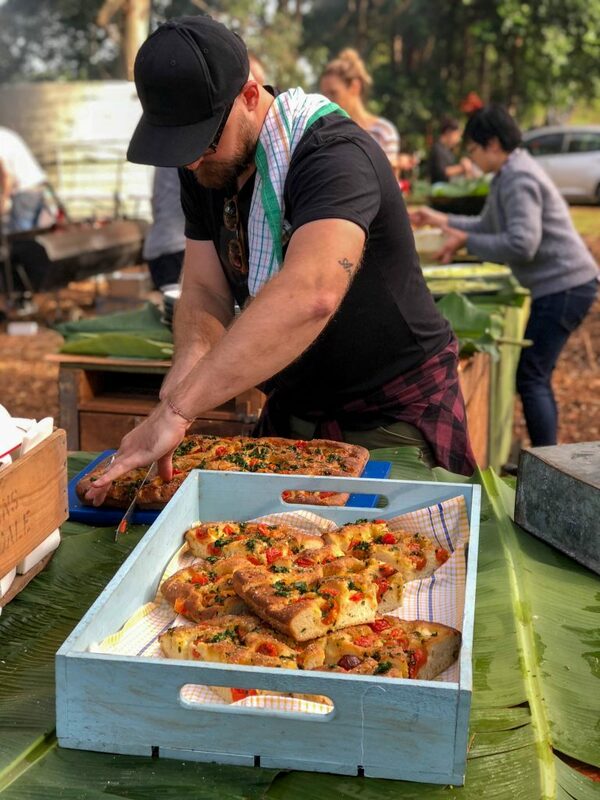 With a rock star cast of chefs headlining at one of our region’s most exciting produce farms, a ticket to the sold out inaugural Boon Mania at Boon Luck Farm last weekend was coveted. 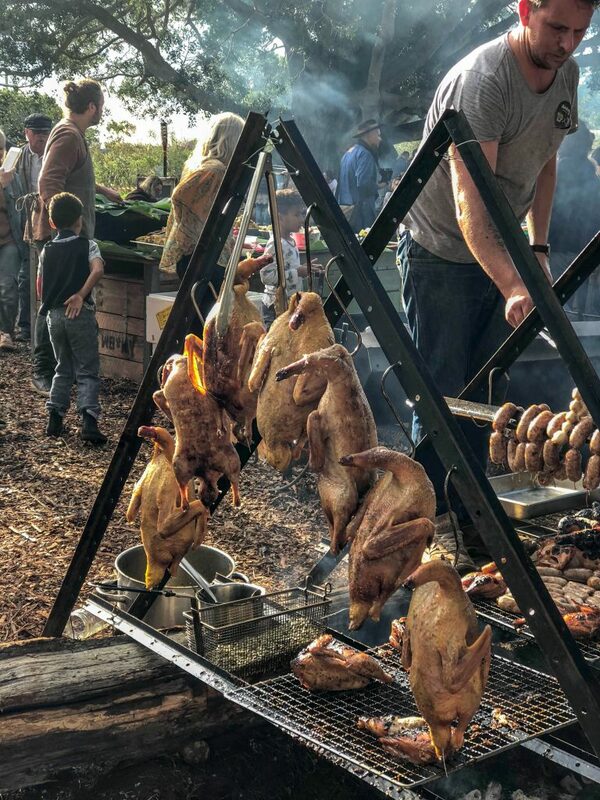 What better way to spend an Autumn Sunday afternoon, in the crisp outdoors on a hay bale under a 300-year-old fig tree with warm fire pits, soft music, BYO drinks and incredible food to while away a few hours while the kids run free and chase the scurrying chickens? 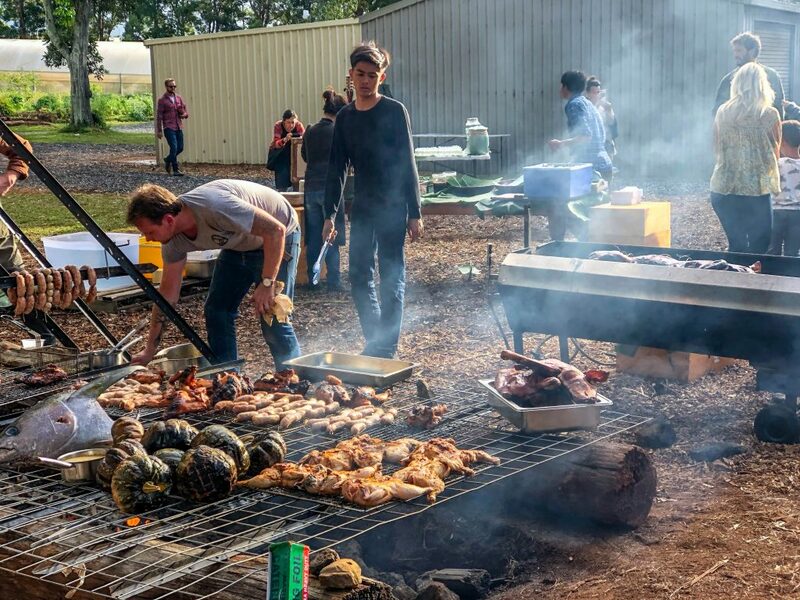 Boon Mania was the perfect afternoon of food, farm and live music held at Boon Luck Farm in Tyagarah, the property of the energetic Palisa Anderson and her husband Matt. 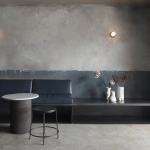 For those of you who have not had the pleasure of meeting this hard-working couple, Palisa hails from the Chat Thai restaurant family which her mother Amy Chanta began in Sydney in 1989. 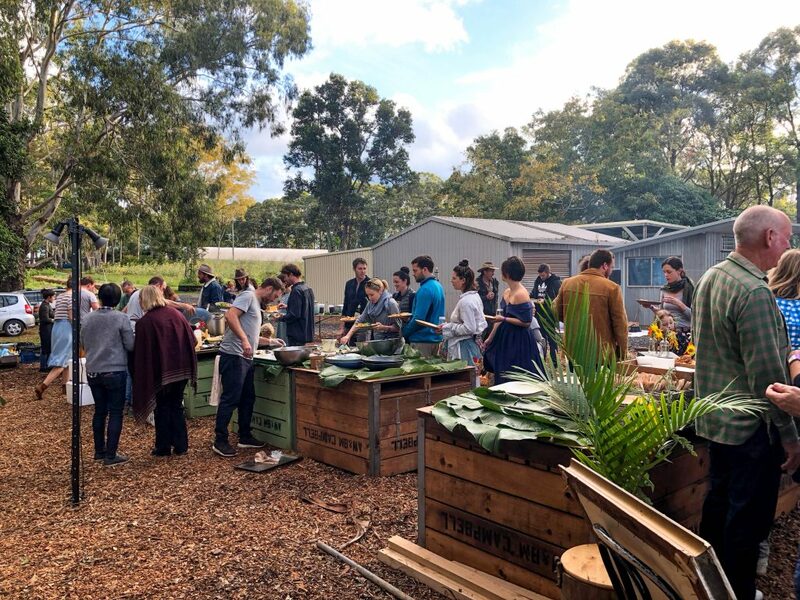 Fast forward to 2016 when, frustrated with an inability to source a consistent supply of ingredients for the group’s nine restaurants, Palisa and Matt decided to purchase the Tyagarah farm and grow their own to guarantee access to the specialised, organic produce and hard-to-find menu ingredients they needed. 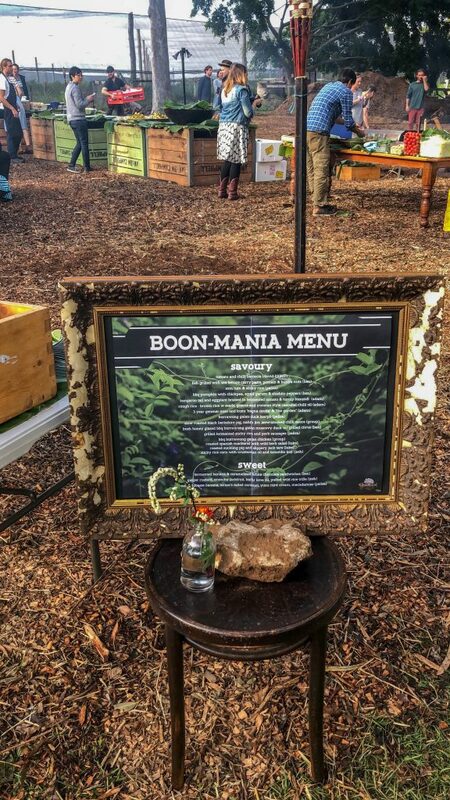 Throughout the afternoon at Boon Mania, guests were invited to take an educational tour of the Market Garden and enormous shade structures where all sorts of organic restaurant produce grows. 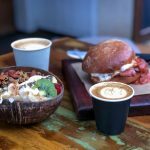 From bananas, papayas and pumpkins like triffids, to more delicate greens including holy basil, pandan and betel leaves and fruits like mango, lychees and passionfruit. 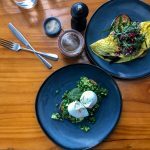 Boon Luck Farm is tended by a small team including Palisa, Matt and their two hands-on children, as well as staff from the Sydney restaurants who have an opportunity to share in the farm to table experience. 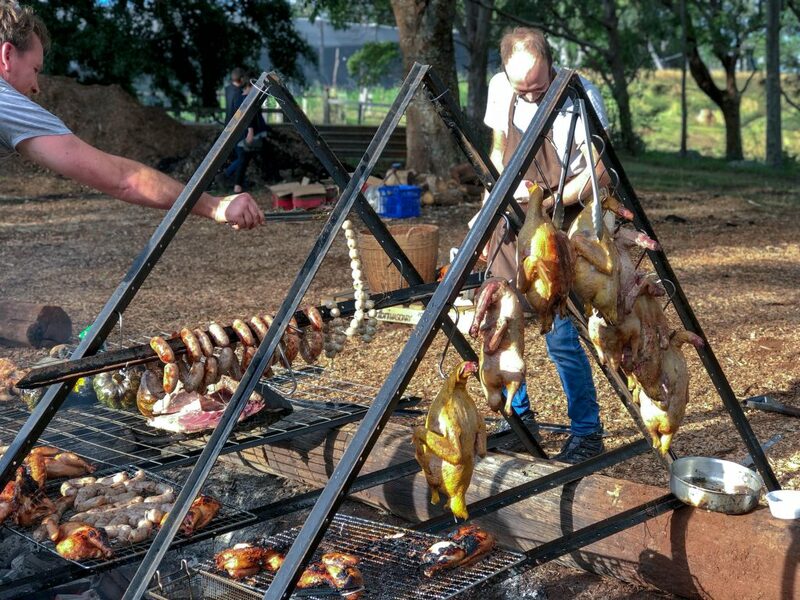 The outdoor kitchen for the afternoon centred around an enormous campfire and spit where a suckling pig was gently rolling on the rotisserie. Guests were able to freely meander around the fire pit to watch and chat with the chefs at work as they tended to the fire and coals. It was a true communal experience and an opportunity for the chefs to collaborate on a shared feast. 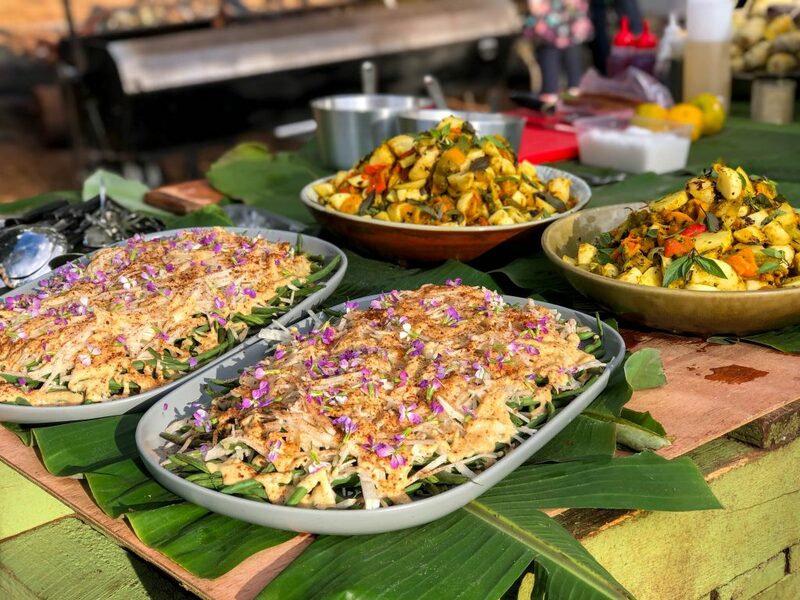 The ensemble of chefs included Palisa and members of the Chat Thai team, Ben Devlin from Paper Daisy, David Lovett from 100 Mile Table, Adam James from Rough Rice in Tasmania, Luke Burgess of the former Garagistes in Tasmania and Josh Lewis from Fleet. The menu was abundant and began with flavoursome focaccia followed by dishes like grilled fish in curry paste, a fresh and feisty tom sum (green papaya salad) with sticky rice parcels, farm pumpkins roasted whole over coals, a kangaroo tail braise served with rough rice, bagna cauda with farm fresh vegetables, roasted Spanish mackerel, the best Thai pork sausages you will ever taste, bush honey glazed Muscovy duck and of course the roasted suckling pig. There were other dishes I missed simply because I had enjoyed more than my fair share, but these were delicious highlights. For those with room, there was a jackfruit trifle and more to satisfy any sweet tooth. 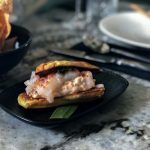 Boon Mania was a great event that showed enormous generosity from the chefs who left their kitchens for the day and night to give something back to the community. It was a fun, flavoursome and family oriented afternoon. 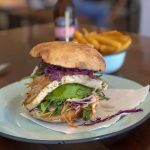 It’s not always easy to find a food lovers’ event the whole family can enjoy (free entry for kids under 8) but this hit the mark. Congratulations to Palisa and Matt and all those involved in bringing Boon Mania to life. I can’t wait for round two! Thank you so much Lovely, I’m so glad you came! It could’ve only happened because we have such an amazing community of people around us, both from Byronshire and Tassie.